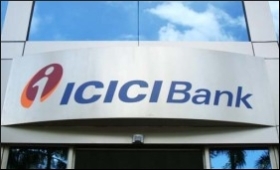 Hours after an official of securities market regulator SEBI said that ICICI Bank has filed for settlement through consent mechanism, the private lender denied filing any such application. The company, however, said that it has submitted its response to the show cause notice issued by SEBI. "We have submitted our response to the show cause notice issued by SEBI. We would like to clarify that we have not filed any application for settlement," ICICI Bank said in a regulatory filing on Tuesday. Earlier in the day, answering questions on the issue after SEBI's annual board meet, SEBI chief Ajay Tyagi said: "On the ICICI (issue), to my information some reply has come from the bank and the earlier CEO (Kochhar), so, we will examine that..."
On the plea for settlement through consent mechanism, Tyagi claimed ignorance. However, another SEBI official present at the conference confirmed the request. The stock market regulator provides for an out-of-the-court settlement procedure to settle cases -- consent mechanism -- which does not warrant admission or denial of the alleged wrongdoing. SEBI had issued a show cause notice to ICICI Bank and its MD and CEO Kochhar regarding conflict of interest in lending to Videocon Group, which has had business tie-ups with her husband Deepak Kochhar. Currently, former Supreme Court judge B.N. Srikrishna (Retd) is heading an independent enquiry into the allegations. In June, Kochhar decided to proceed on leave and subsequently, Sandeep Bakhshi was appointed as the wholetime Director and Chief Operating Officer (COO) of the bank.